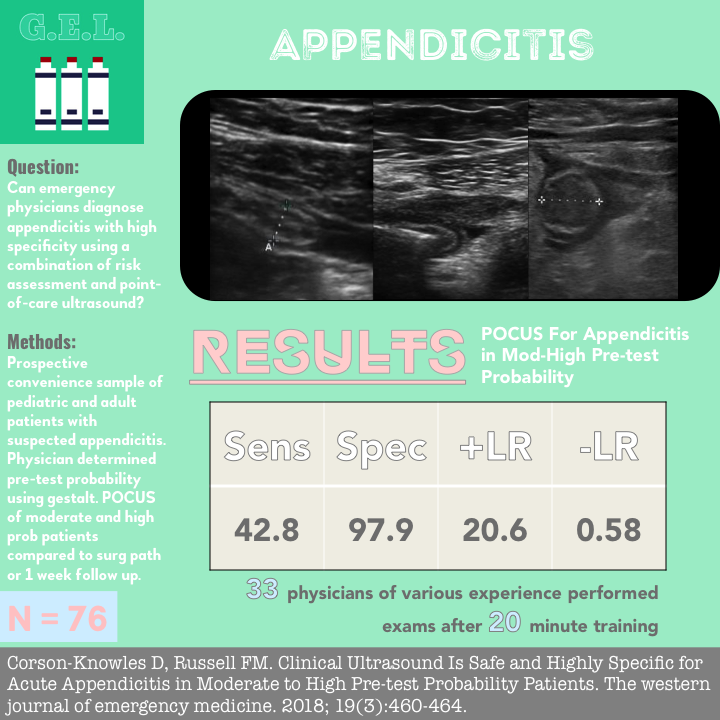 Point of care ultrasound for appendicitis has a long and checkered past. It is well-established as first line in the pediatric population, but less accepted in adults. Some studies show that is great, other studies show that it is about as useful as an air conditioner in Antarctica. This article hits on the idea that perhaps we should risk stratify our patients and focus on ruling in the disease in those that are more likely to have it. Sound intriguing? Check it out. 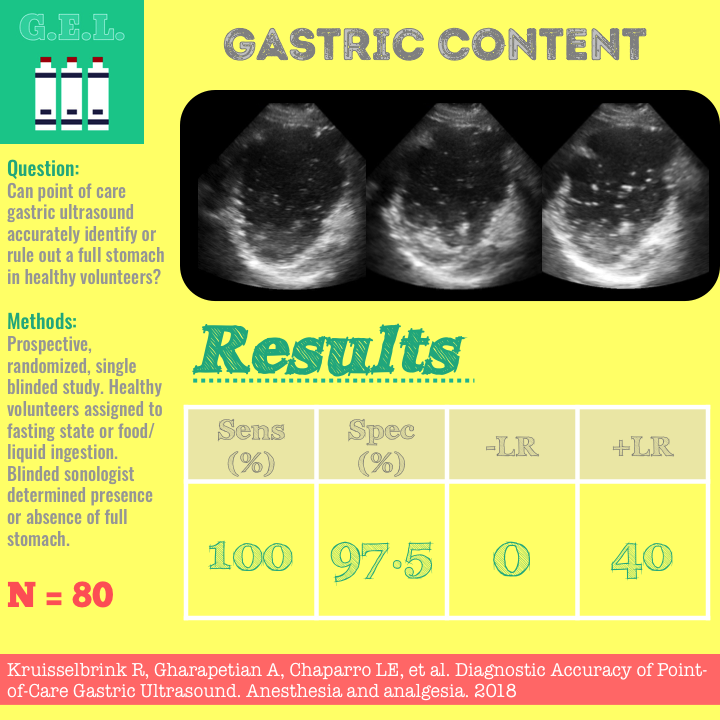 Can POCUS make the grade? 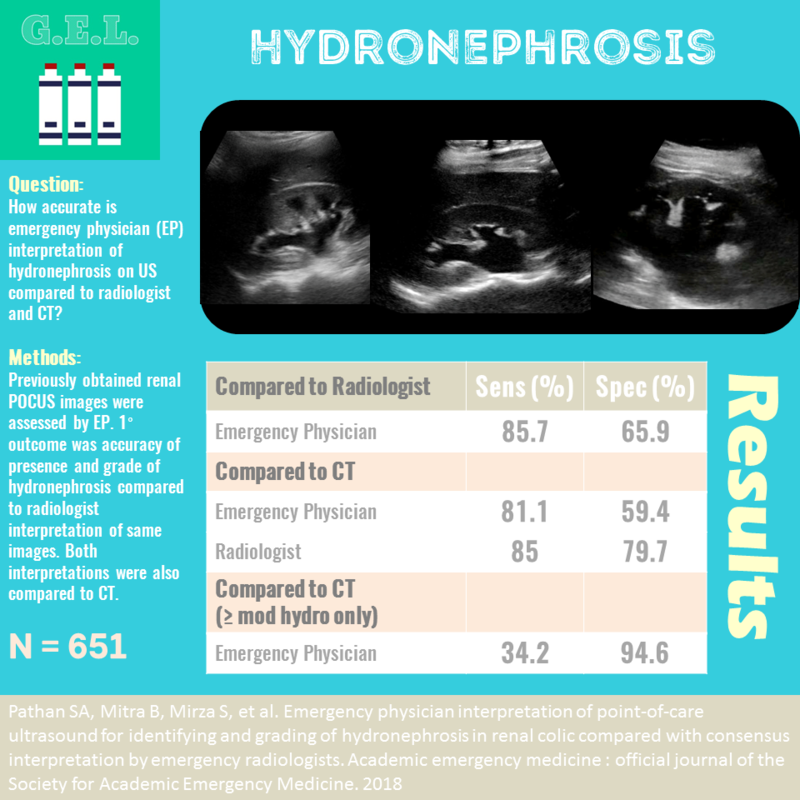 As more and more emergency physicians are using point-of-care ultrasound to assess for hydronephrosis in the setting of renal colic, it becomes important to determine how accurate they are for the diagnosis. This study takes previously recorded clips and compares the EP interpretation to a radiologists interpretation. The idea is to see if EPs can determine the presence or absence of hydro, as well as the grade of it, compared to a radiologist looking at the same images. Both are then compared to CTs done in the same patients for a second standard of comparison. This brings to light interesting findings as well as questions regarding the best standard of comparison in this practice. Usually in ultrasound we think of the stomach as something that gets in the way or gives us a false positive LUQ view in the FAST. But what if visualizing the stomach could actually be helpful? In some scenarios, such as prior to anesthesia, sedation, or a procedure, it might be nice to know if the patient has a full stomach with the potential to aspirate. These authors test out the accuracy of POCUS for this purpose in healthy volunteers.